Restaurant offers, who does not want that ?! With your personal Restaurant ID you can take advantage of varied dishes every month in the participating hotels! In the hotel dashboard of your Valk Account you can find the personal Restaurant ID number. 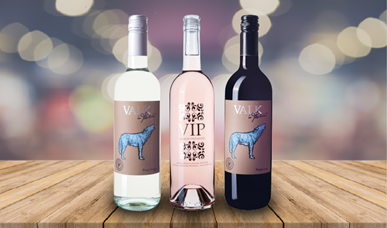 Download the Valk Exclusive app to have your Restaurant ID with you on the road. Spontaneous (or planned) not cooking an evening is becoming easier! The app is free to download and can be used with your Valk Account. to use the member only offers. With this number you can use the dinner hall, Restaurant ID dish and the wine deal every month! Did you know that every restaurant has its own dinner menu? In January & February you can enjoy Restaurant ID of the Sea tongue. *The dish may differ from the photo shown. With the Diner Deal you can eat out for the lowest price in one of our many Falcon Exclusive restaurants. 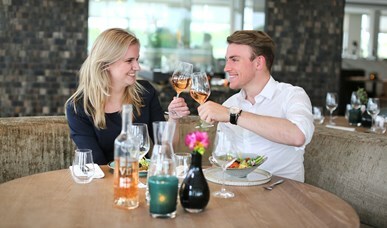 The Dinner Deal consists of a 3-course dinner for only €32.50 per person! 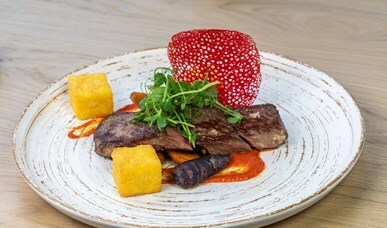 In March and April you can enjoy the Lamb Filet Restaurant ID. To avoid disappointment, we advise you to reserve a table in advance in a Valk Exclusive restaurant of your choice. *Court may differ from photo shown. You can find your personal Restaurant ID number in your account. Download the free Falcon Exclusive app below.